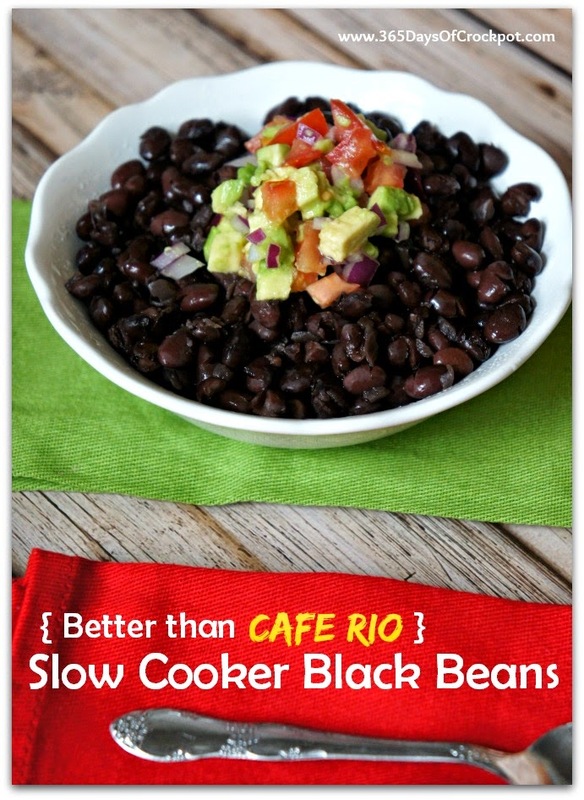 If you’re making Mexican food you need to make a big batch of slow cooker black beans to go with it! These beans are so perfect because you don’t have to soak beforehand and they are fast to get into the crockpot. I love to serve mine on quesadillas, taco salad or with the Cafe Rio Chicken recipe. These are the only black beans that I make! You’ll love them too, I promise. the slow cooker with water, about 2-3 inches above the beans. garlic cloves, salt and bay leaf. hours or on HIGH for 4-5 hours. the bay leaf. Add in 3 Tbsp red wine vinegar. 6. Use a slotted spoon and serve. Is the chicken bouillon the powder form or is it the same as chicken broth? You can use powder form or you can use a base like Better than Bouillon. I accidently added in the vinegar to the cooking process, not after, will the beans turn out okay? Probably?! How did it come out? Do I need to adjust the time if I times the recipe by 4? I’m making for a large group. The fuller your slow cooker is, the longer it will take to cook. So add about an hour. How long do these beans stay good in the fridge or freeezer? up to a week in the fridge and 3 months in freezer if in an airtight container! 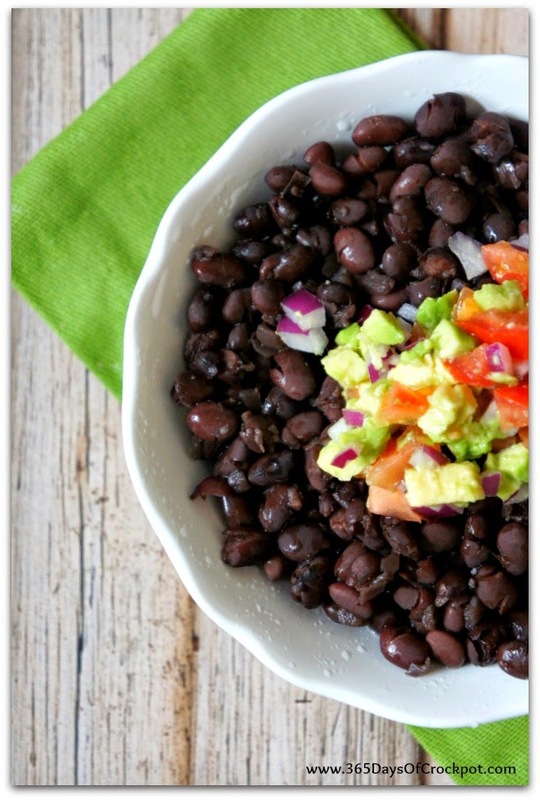 I never soak the beans- just cook them in the slow cooker all day and come home to bean heaven. You will never eat canned beans again. Check out RanchoGordo.com for some awesome heirloon beans. Their banana vinegar is really great too. Mine just seem to turn out better with a little soaking. I know it's supposed to release some of the gas too. Try it without soaking and let me know what you think! The slow cooker is my favorite way to make beans, except I never bother to soak them before cooking, and they always come out tender and soft. Any ideas why this recipe calls for a pre-soaking? Soaking helps remove the lectins in the beans so they digest better..
We have very hard mineral water. If I don’t soak beans with a tsp of baking soda, they never break down.